Executive Towing Services is a locally owned and operated vehicle transportation and towing company based in Osborne Park, and operating throughout Perth and the surrounding areas to assist you with all your vehicle towing and transportation needs. From up North as far as Joondalup, to the East to Midland, and down South to Canning Vale, we are happy to help you with our first-class towing and transportation services that are suitable for a broad range of vehicles, including lowered and performance cars. As a customer-centric towing company providing a wide range of vehicle towing and transportation services to suit the needs of our diverse customer base, motorists in Perth can rely on us to go the extra mile to satisfy their vehicle transportation needs with our high standards and quality towing assistance. For the most reliable and competitively priced towing services in Perth and the surrounding areas, get in touch with the team at Executive Towing Services today. We look forward to assisting you with all your vehicle towing and transportation needs, whatever they may be. Catering for all our customers’ needs, Executive Towing Services provides vehicle towing services to suit all situations. Have you had the misfortune to be involved in a car accident? Or has your vehicle let you down by breaking down? Perhaps you just need a vehicle transportation service in general. Whatever the reason for needing to move your vehicle to another location fast and safely, Executive Towing Services are here to help! 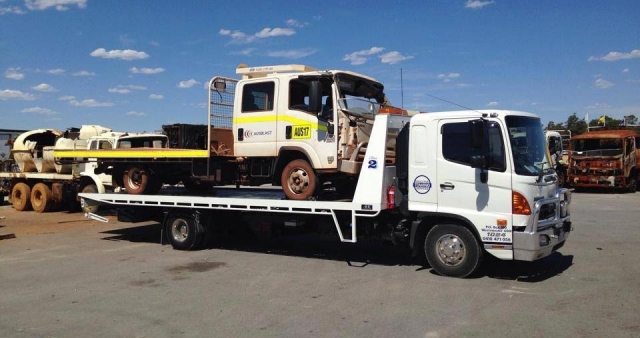 All our tow truck operators in Perth are fully qualified and licensed, dedicating their time to reaching you and your vehicle in a safe and timely manner. We are completely professional at all times and promise that you can always rely on us to transport almost anything in any given situation. So, whether it’s moving the family car to a local mechanic’s workshop, towing a commercial truck or van from an accident, or transporting a forklift or bobcat from worksite to worksite, we’re the towing company in Perth that can cater for all your needs. Give us a call today to discuss your needs and let one of the team provide you with a great quotation – we believe you’ll be more than satisfied with the rates we can offer you. And for your complete assurances in our towing services, our modern, purpose built tilt trays are all fully insured and we treat every vehicle as if it were one of our own. 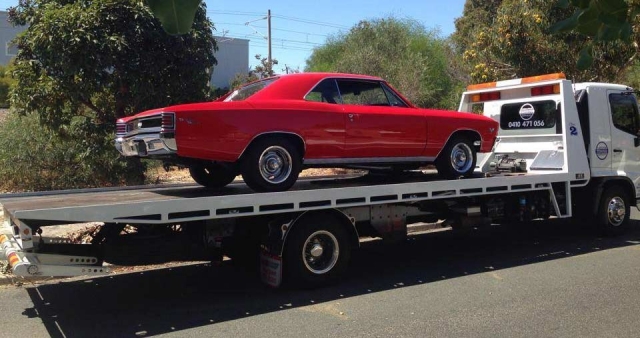 We take pride in the vehicle transportation and towing services we provide and have worked tirelessly to establish ourselves as a leading provider of towing services in Perth. While we provide general towing services, our speciality lies in the transportation of lowered and performance vehicles including sports, racing, classic, vintage, hot-rod, and custom-built vehicles. We use the latest tow trucks so your treasured vehicle is always safe with us when driven by a member of our experienced and friendly team. We are also able to provide roadside assistance for flat batteries, empty fuel tanks and flat tyres, and we can help you gain access to your car if you lock your keys inside. Our drivers have been police checked so you can be assured you and your vehicle are in safe hands. We are also one of the few towing companies in Perth to have the required MSIC card to gain access to the wharf. For the very best towing services in Perth, get in touch with Executive Towing Services today. We look forward to discussing your towing needs with you and promise to always go the extra mile to ensure you’re as happy with our Perth towing services as we are to serve you. Get in touch with the team today by giving us a call on 0410 471 056. If you have a vehicle that needs towing or transportation we’ll be there, Executive Towing Services will get the job done and treat you vehicle with the highest level of care!